Roughly bounded by 7th and 15th Avenues, and Glenrosa Avenue and Indian School Road. Visit Woodlea at night to truly appreciate the rural feel of the neighborhood, created by mature trees and dimly lit streets. During the day, you won’t need signs to tell you that you’ve left the Woodlea Historic District either. The lush greenness of this irrigated residential area is noticeably different from the neighboring areas. You will find a few early Bungalows and Tudor Revivals in the Woodlea Historic District, mostly along MacKenzie Drive. But the typical Woodlea home is either Transitional Ranch or Ranch from the 30s and 40s with red brick, painted brick or stuccoed exteriors and, more often than not, steel casement windows. As you’d expect in a historic Ranch-style home, Woodlea homes have clean-line interiors, often with their original polished concrete floors. 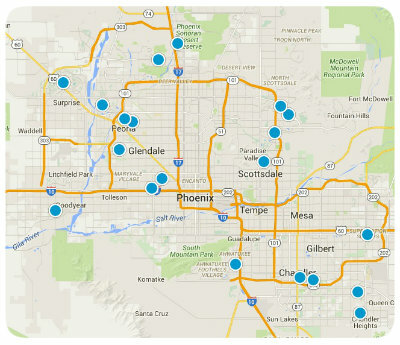 Homes range in square footage from around 850 to around 1300, with either 2 or 3 bedrooms. 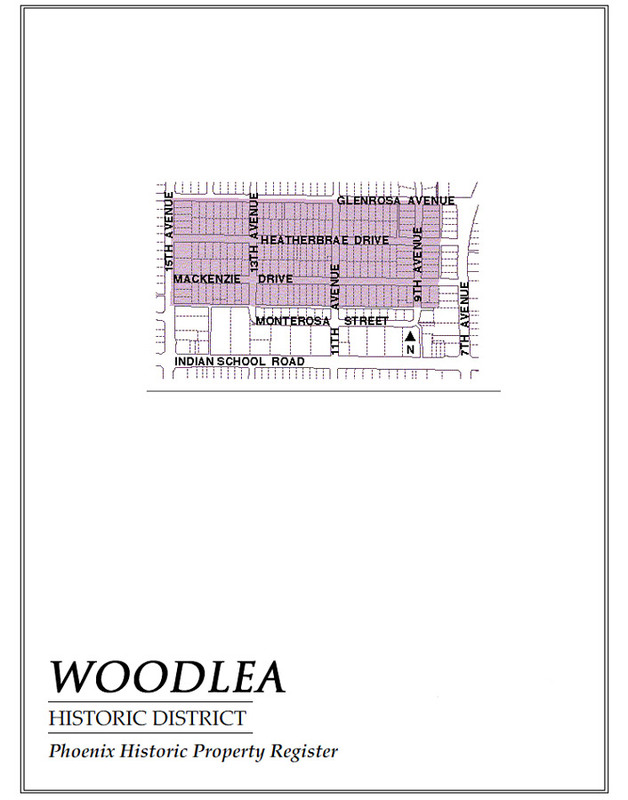 Most of the homes in Woodlea are north-south facing, along three shady streets—Glenrosa Avenue, Heatherbrae Drive, and MacKenzie Drive– while commercial buildings line Seventh Avenue along the eastern edge of the neighborhood. That’s Melrose on Seventh, of course. Neighbors can walk to the Copperstar for a coffee and cupcake, or to the Melrose Pharmacy (one of the few independent pharmacies left in Phoenix) or out to dinner at any number of close-by restaurants. Melrose on Seventh was voted the Best Street Festival in Phoenix by NewTimes in 2009 for the annual celebration that happens along the curve. It gets bigger and better each year. 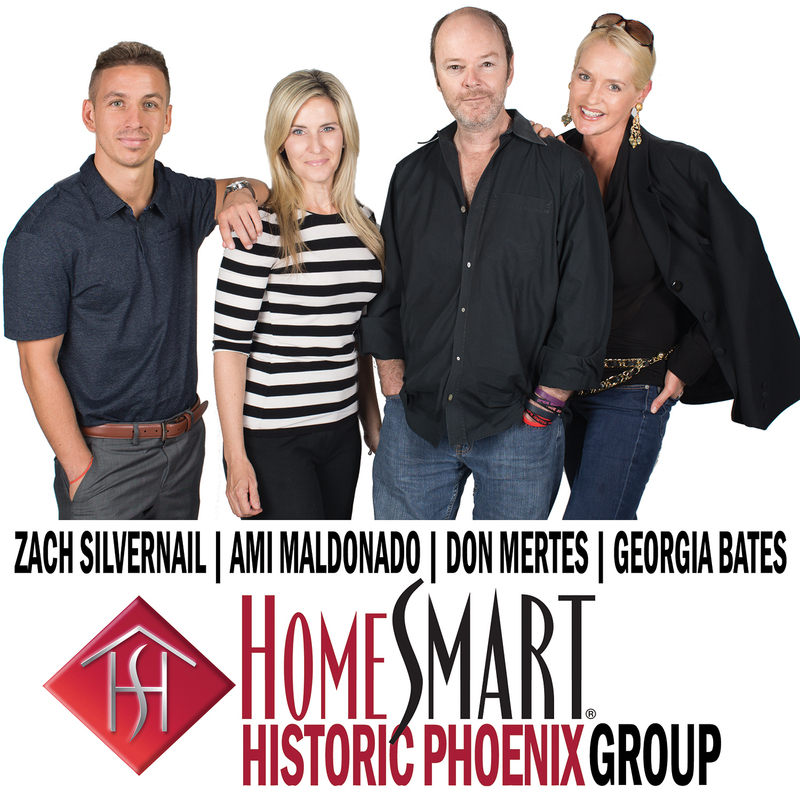 Welcome to historicphoenix.com, your #1 internet resource for buying and selling historic Woodlea real estate. 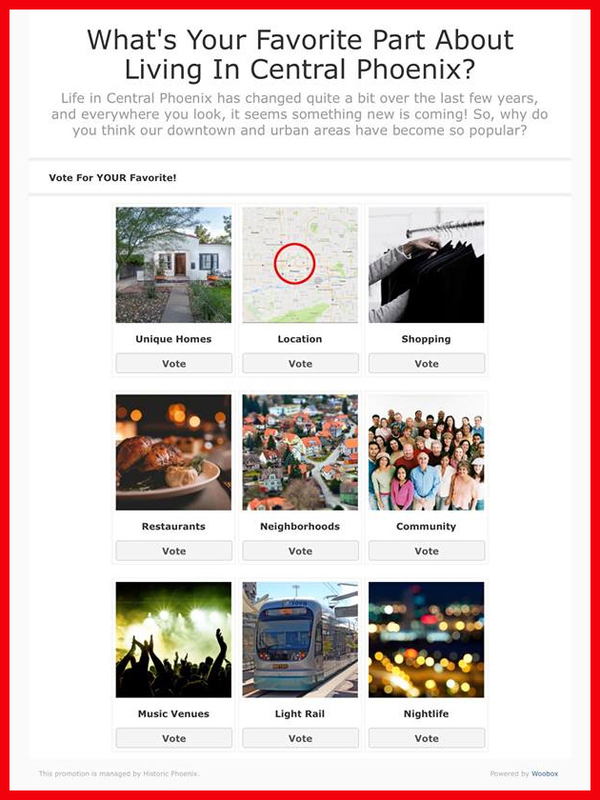 On this site, you will be able to find nearby school information, restaurants and grocery stores, buyer resources, seller resources, and search all Woodlea homes for sale. Our goal is to provide you with the most valuable information and service regarding historic Woodlea real estate and homes for sale. Through this site, we provide you with access to MLS listings and resources for buying and selling a home, but most of all, an easy way to access expert guidance as your time to buy or sell Woodlea real estate approaches. In today's real estate market, it takes more effort, time, and resources to sell your Woodlea home. We are personally committed and passionate not only about selling your home, but selling it for maximum market value. We offer our clients a full line of services and a network of service providers to not only provide you with maximum market exposure through our extensive and aggressive marketing plan, but to provide a tailor-made solution to handle all aspects of your real estate transaction including pre-listing preparation to best showcase your home. We also work with an extended list of service providers who can help meet all your needs related to the sale of your Woodlea home. Find out what your historic Woodlea home is worth TODAY. For most people, purchasing a home is the single largest and most exciting financial decision they can make. That is why we take finding a home for our clients very seriously. We're not only committed to finding you a home, but to finding you the absolute best home on the market at the best possible price, and if one does not exist on the market, we'll search off-market properties and do our very best to find you the right Woodlea historic home. This website also serves as a tool for clients to search properties currently on the market, receive up to the minute market updates through email, and even request showings. Start searching now OR let us do it for you!